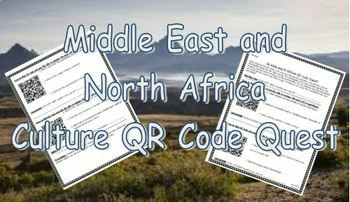 Students will use QR codes to learn about a variety of countries in the Middle East and North Africa and their culture. Students will have to "check-in" periodically with the teacher using their latitude and longitude skills! All QR codes are linked to easy to read websites for students!